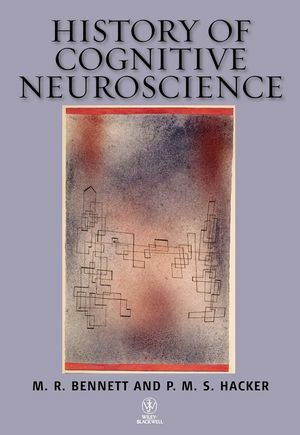 History of Cognitive Neuroscience documents the major neuroscientific experiments and theories over the last century and a half in the domain of cognitive neuroscience, and evaluates the cogency of the conclusions that have been drawn from them. M. R. Bennett is Professor of Neuroscience, University Chair and Scientific Director of the Brain and Mind Research Institute at the University of Sydney. He is the author of many papers and books on neuroscience as well as the history and philosophy of neuroscience, including The Idea of Consciousness (1997) and A History of the Synapse (2001). He is past President of the International Society for Autonomic Neuroscience, past President of the Australian Neuroscience Society, as well as the recipient of numerous awards for his research, including the Neuroscience Medal, the Ramaciotti Medal, the Macfarlane Burnet Medal and the Order of Australia. P. M. S. Hacker is an Emeritus Research Fellow of St John’s College, Oxford, UK. He is the author of numerous books and articles on philosophy of the mind and philosophy of language, and is the leading authority on the philosophy of Wittgenstein. Among his many publications is the four-volume Analytical Commentary on Wittgenstein's Philosophical Investigations, and its epilogue, Wittgenstein's Place in Twentieth Century Analytic Philosophy. His most recent work is Human Nature: The Categorial Framework, the first volume of a trilogy on human nature. Together, M. R. Bennet and P. M. S. Hacker have authored the acclaimed Philosophical Foundations of Neuroscience (Blackwell, 2003). Cognitive Neuroscience: A Conceptual Analysis. Foreword by Sir Anthony Kenny. 1. Perceptions, Sensations and Cortical Function: Helmholtz to Singer. 1.1 Visual Illusions and their interpretation by cognitive scientists. 1.12 Misdescription of visual illusions by cognitive scientists. 1.2 Gestalt Laws of Vision. 1.3 Split brain-commissurotomy; the two hemispheres may operate independently. 1.31 Misdescription of the results of commissurotomy. 1.32 Explaining the discoveries derived from commissurotomies. 1.4 Specificity of cortical neurons. 1.42 Misdescription of experiments leading to the concept of cardinal cells. 1.5 Multiple pathways connecting visual cortical modules. 1.6 Mental Images and Representations. 1.61 Misconceptions about images and representations. 1.7 What and Where pathways in object recognition and maps. 1.8 Misuse of the term 'maps'. 1.9 The binding problem and 40 Hz oscillations. 1.91 Misconceptions concerning the existence of a binding problem. 1.92 On the appropriate interpretation of synchronicity of neuronal firing in visual cortex. 1.101 Misconceptions concerning images and imagining. 2. Attention. Awareness and Cortical Function: Helmholtz to Raichle. 2.1 The concept of attention. 2.31Arousal and attention2.32 Selective attention 2.4 Attention related to brain structures. 2.42 Parietal cortex2.43 Visual cortex 2.44 Auditory cortex 2.5 Conclusion. 3. Memory and Cortical Function: Milner to Kandel. 3.11 The hippocampus is required for memory, which decays at two different rates. 3.12 Memory is of two kinds: declarative and non – declarative. 3.13 Cellular and molecular studies of non – declarative memory in invertebrates. 3.14 Declarative memory and the hippocampus. 3.15 Long – term potentiation (LTP) of synaptic transmission in the hippocampus. 3.16 Cellular and molecular mechanisms of declarative memory in the hippocampus. 3.3 The contribution of neuroscience to understanding memory. 4. Language and Cortical Function: Wernicke to Levelt. 4.1 Introduction: psycholinguistics and the neuroanatomy of language. 4.2 The theory of Wernicke/Lichtheim. 4.214 Sound images and language. 4.215 Language acquisition, words and concepts. 4.3 The mental dictionary and its units: Treisman. 4.4 The modular study of word recognition and reading aloud: Morton. 4.5 The modular study of fluent speech: Levelt. 4.52 Development of the model system. 4.6 The functional neuroanatomy of language comprehension4.61 During attention to visual compared with semantic aspects of words. 4.62 During auditory compared with visual presentation of words. 4.63 During attention to the semantic as compared to the syntactic aspect of a sentence. 4.7 The functional neuroanatomy of speech. 4.72 During spoken action words and colour words. 4.73 During naming animals and tools. 4.74 During speaking with strings of words compared with single words. 4.76 During naming items semantically associated with a reference item. 4.8. The functional neuroanatomy that underpins psycholinguistic accounts of language. 5. Emotion and Cortical-Subcortical Function: Darwin to Damasio. 5.3 Cognitive versus precognitive theories for the expression of emotions. 5.31 On physiological measurements of emotional responses. 5.32 Involvement of the amygdala and the orbitofrontal cortex in the emotional responses to faces. 5.41 Faces expressing different emotions and the amygdala: fMRI. 5.42 Behavioural studies involving face recognition following damage to the amygdala. 5.43 Fear conditioning and the amygdala. 5.44 Is cognitive appraisal an important ingredient in emotional experience? Le Doux's interpretations of his experiments on the amygdala. 5.45 'Fear' is unrepresentative of the emotions. 5.51 Behavioural studies involving face recognition following damage to the orbitofrontal cortex. 5.52 Orbitofrontal cortex and face recognition: PET and fMRI. 5.53 Orbitofrontal cortex and the satisfying of appetites. Rolls's interpretation of his experiments on the orbitofrontal cortex. 5.54 Misconceptions about emotions and appetites. 5.6 Neural networks : amygdala and orbitofrontal cortex in vision. 5.7 The origins of emotional experience. 5.71 The claims of Le Doux. 5.72 The claims of Rolls. 5.73 The claims of Damasio following James. 5.74Misconceptions concerning the somatic marker hypothesis of James/Damasio. 6. Motor Action and Cortical-Spinal Cord Function: Galen to Broca and Sherrington. 6.1 The Ventricular Doctrine, from Galen to Descartes. 6.1.1 Galen: motor and sensory centres. 6.1.2 Galen: the functional localization of the rational soul in the anterior ventricles. 6.1.3 Nemesius: the attribution of all mental functions to the ventricles. 6.1.4 One thousand years of the ventricular doctrine. 6.1.5 Fernel: the origins of neurophysiology. 6.2 The Cortical Doctrine: from Willis to du Petit. 6.2.1 Thomas Willis: the origins of psychological functions in the cortex. 6.2.2 The cortex 100 years after Willis. 6.3 The Spinal Soul, the Spinal Sensorium Commune, and the Idea of a Reflex. 6.3.1 The spinal cord can operate independently of the enkephalon. 6.3.2 Bell and Magendie: the identifi cation of sensory and motor spinal nerves. 6.3.3 Marshall Hall: isolating sensation from sense-reaction in the spinal cord. 6.3.4 Elaboration of the conception of the ‘true spinal marrow’. 6.3.5 Implications of the conception of a refl ex for the function of the cortex. 6.4 The Localization of Function in the Cortex. 6.4.1 Broca: the cortical area for language. 6.4.2 Fritsch and Hitzig: the motor cortex. 6.4.3 Electrical phenomena in the cortex support the idea of a motor cortex. 6.5 Charles Scott Sherrington: The Integrative Action of Synapses in the Spinal Cord and Cortex. 6.5.1 Integrative action in the spinal cord. 7. Conceptual Presuppositions of Cognitive Neuroscience. 7.2 Two paradigms – Aristotle and Descartes. 7.3 Aristotle’s principle and the mereological fallacy. 7.4 Is the mereological fallacy really mereological?. 7.5 The rationale of the mereological principle. 7.6 The location of psychological attributes. 7.7 Linguistic anthropology, auto-anthropology, metaphor and extending usage.